I just review In the Courts of the Sun by Brian D'Amato for Bookspot Central. The book has an interesting premise utilizing the Maya calendar, a divination ritual, and time travel to try to avert the end of the world, however, I think the book's flaws were a bit too glaring. While some people might like it, I'm afraid I can't recommend it. You can read the review here. Aqueduct Press is pleased to announce the release of Cheek by Jowl, a collection of talks and essays on how and why fantasy matters, by Ursula K. Le Guin. In these essays, Le Guin argues passionately that the homogenization of our world makes the work of fantasy essential for helping us break through what she calls ''the reality trap.'' Le Guin writes not only of the pleasures of her own childhood reading, but also about what fantasy means for all of us living in the global twenty-first century. Charlaine Harris’ Dead Until Dark and Leaving Dead in Dallas are at ranks number 17 and 28 respectively. Thus states the book’s synopsis on the author’s webpage and it explains the plot pretty well. The Crown Conspiracy is the first book in the six-part Riyria Revelations. Each book is supposed to be part of a larger tale, yet can also be read individually as stand-alone novels. Also, according to the author’s site, all the books in the series are already written so future installments should be coming quite soon. Indeed, the second story, Avempartha, was released last month and if the pattern continues, the third should be out in another five months. As the reader can tell from the book’s synopsis, The Crown Conspiracy has a little bit of everything. It has elves, murder, wizards, intrigue, war, adventure, and hope. You might think there is too much for one book. And while it’s true that the book comes in just shy of three hundred pages, the plot takes off fairly quickly. Truthfully, the tale is quite concise without much meandering or world building except what is needed for the story. In many ways, the novel takes all the conventional tropes of a traditional fantasy story, takes what it needs, and throws out the rest. What is left is a quick and entertaining read. One of my complaints with the novel is that the story seemed a little too simplistic. Drama and tension were resolved a little quickly, and some of the character inteactions were a little too easy. My other complaint is that it seems the world isn’t big enough for the story and the people in it. What I mean by that is that while the map at the front shows a fairly good-sized continent with plenty of space, the land as described in the story seems smaller than it should be. For instance, early in the book the main characters cover a fair distance in only one day, a distance that is over half the entire size of a kingdom. Luckily, both of these issues are handled somewhat better towards the end of the novel. The Crown Conspiracy has a few, small flaws, but on the whole it is also a fast-paced and entertaining story. I look forward to reading the rest of the books in the series. Recommended. Harry Dresden has never gotten along with Morgan. Maybe it has to do with how the veteran Warden has hounded him most of his life. But when Morgan shows up on Harry’s doorstep, bleeding and on the run from the White Council, what’s an upstanding wizard to do? Harry doesn’t like it but he can’t let a man be labeled a traitor and executed for something he hasn’t done. Determined to clear Morgan’s name, Harry begins to search for the traitor on the White Council. Along the way, he runs into a British weasel who can summon beings from the Nevernever and an ancient Navajo skinwalker. It also doesn’t help that his brother Thomas disappears and the White Court vampires also get drawn into the whole mess. Will Harry be able to prove Morgan’s innocence or is the Warden’s fate sealed no matter what? The latest installment in the Dresden Files is full of action and lots of plot development. As always Harry runs afoul of several different players at once, however his tenacity pays off and he manages to pit them against each other. The traitor plot is resolved and the thread is set up for a new arc in the series. This book is also a fair bit darker as he becomes isolated from those that keep him grounded and his apprentice Molly makes some bad choices. The traitor’s revelation actually ends up being the weakest part of the novel. Note: the following lines contain plot spoilers. Those who haven’t read the book should skip to the next paragraph. My biggest gripe with Turn Coat is over who was revealed as the traitor on the council. I thought the traitor being the secretary was a bit of copout. Butcher mentioned a few books back that only a handful of people could have known a key piece of information and Peabody was not one of them. As the secretary for the senior members, it’s possible Peabody have could known all the necessary details, but I it didn’t ring quite true. Ultimately, other actions on the part of the traitor did make the plotline easier to swallow so the book ended fairly well. 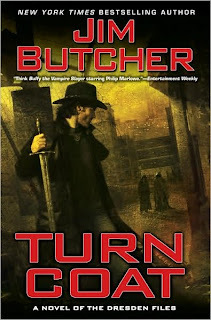 Turn Coat is another fast-paced and addictive book in the fun and fantastic Dresden Files series. Recommended. Bova's cautionary medical thriller, the uncut version of his 1996 novel Brothers, explores the political, social and religious ramifications of what could be humankind's greatest medical breakthrough-organ regeneration. When biotech lab director Arthur Marshak discovers a way to grow replacement organs and limbs within a patient's own body, the uproar from religious extremists, conservative politicians and sensationalized media coverage threatens to derail the project. 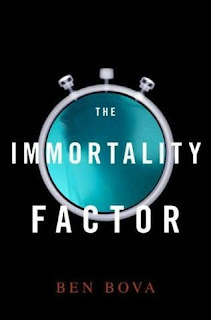 When Marshak decides to let a "science court" in Washington, D.C., rule on the validity of human organ regeneration, the subsequent travesty of a tribunal not only imperils his career but also his tempestuous relationship with his estranged brother, who happens to be married to Arthur's ex-fiancée. In the third installment in the Captain Alatriste series, the story moves to the battlefields of the Netherlands. The Dutch lands are in revolt against the Spanish-Austrian monarchy and the crown is determined to hold onto the land. Diedo Alatriste has re-enlisted in his old tercio, both to avoid political troubles at home, but also to settle his restless nature. Inigo, as always, accompanies him as his servant. The story opens with the capture of a Dutch military fort as part of an operation by Alatriste’s tercio to put the squeeze on the city of Breda. The siege of the city takes up a fair amount of the plot as well as two major battles between Spanish and Dutch forces. 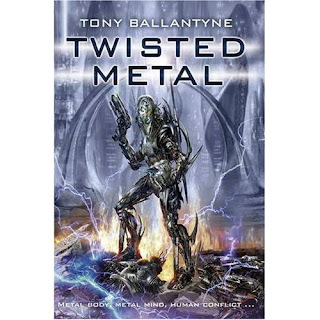 Full of fighting and action, this tale is a somewhat different book in the series. The Sun Over Breda marks a slight shift in the series storytelling. The previous two books focused more on politics and intrigue on the streets and in the court of Madrid. The latest novel is an almost straight-up military tale from the point of view of 17th Century soldier. The reader gets a very in-depth look of the Spanish army as the empire’s power begins to wane. I was surprised to learn with this book that the author is basing the series on an actual manuscript written none other than the books’ narrator. I look forward to seeing where the series goes from here. The Sun over Breda is another good edition to the Arturo Perez-Reverte’s popular historical fiction series. Recommended for all fans. The search for a traitor in the highest circles of power forms the main plot thread of Butcher's 11th hard-boiled fantasy novel featuring Chicago's wizard detective Harry Dresden. Harry, a warden of the magic-governing White Council, finds himself in an unusual position when Morgan, his fellow warden and frequent antagonist, asks for his help. One of the White Council's leaders has been murdered, and Morgan was found at the scene of the crime holding the murder weapon. If he has been framed, then another senior wizard is behind the killing and may be trying to destroy the council entirely. Aided by werewolf and vampire allies, Dresden investigates with his trademark sardonic noir flair. Charlaine Harris’ Dead Until Dark and Living Dead in Dallas are at number 30 and number 21 respectively. Recently, I’ve been interested in reading more historical fiction so last fall I picked up Captain Alatriste, the first book in a series by Arturo Perez-Reverte, on the strength of several recommendations. Unfortunately, the book failed to grab me. Last week I decided to give the series another chance and bought the second book, Purity of Blood. I’m glad that I did. Purity of Blood picks up about a year after the events in Captain Alatriste. The narrator, Inigo Balboa, is now nearly fourteen years old and is still serving the swordsman-for-hire, Diego Alatriste. A friend of the captain comes to hire him to infiltrate a convent and rescue a young woman being held against her will. The family has no legal recourse because the head priest has threatened to expose them as being of Jewish descent. In 17th Century Spain, this is tantamount to a death sentence. However, the plan goes awry and Alatriste and company are quickly caught up in a much higher struggle for power. I have to say I really enjoyed Purity of Blood much more than the first book. My main complaint with Captain Alatriste was that it did not have enough of a plotline for the story. The plot quickly petered out and the rest of the book was filled with a narrative exposition on the political and cultural background. I love reading about history, but generally I don’t find it a good idea to tell a story this way. The good news is that I did have to worry about this problem with the second book. Though the plotline slowed down a bit, it did continue all the way to the end. The ending ended up being a little anti-climatic, however, it worked for the story that the author was telling. I also liked that the poetry segments were far fewer in number this time around. I’ve never been a fan of verse and the Captain Alatriste seemed to have way too much of it. Overall, Purity of Blood is a good historical fiction novel and definitely better than the first Alatriste book in the series. Recommended.